Remember, in Harry Potter and Order of the Phoenix, when Dumbeldore refuses to go to Azkaban as ordered? Well, that is just opposite of Acquiescence. This word is used when a person comes quietly as a decision is taken. Else, when a mother buys chocolate to appease her child, she has just acquiesced. 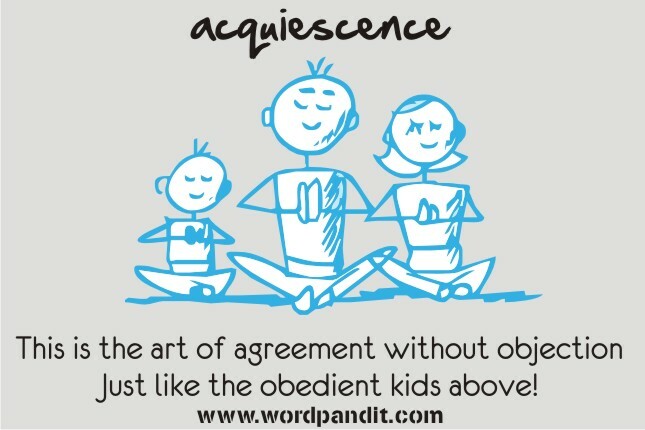 Acquiescence is a noun and its first usage dates back to 1625-35. 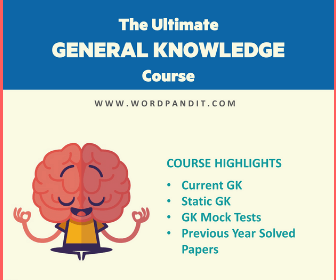 It has originated from the union of two words acquiesce and ence. Former means to submit without protest and latter is a noun suffix. Taking into consideration the meaning of acquiescence, it can be easily confused with permission. However, these words are very different from each other. Acquiescence means to comply with a decision whereas permission means to ask for consent. Acquiescence can also be learnt easily by associating the word with the essence of aqua. Acquie (aqua) scence (essence).